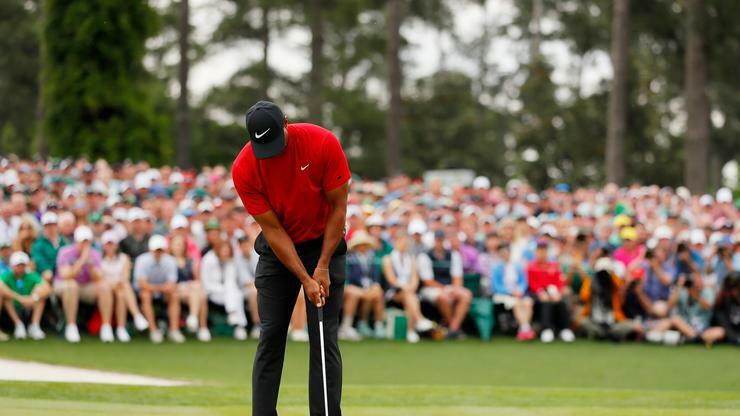 Tiger Woods was a popular man on Sunday as he was atop the leaderboard all day at the biggest golf tournament the year: The Masters. Of course, Tiger ended up winning the whole thing thanks to some clutch shots on the back nine. It’s well known that Tiger has used the exact same putter to win 13 his 14 Major championships. Woods also has a plethora backup putters which have been auctioned f over the years. With Tiger at the head the pack on Saturday night, one his backups went for a record price $88,809.60 on GreenJacketAuctions.com, according to ESPN. The putter in question is a Scotty Cameron Newport 2 GSS and was made specifically for Tiger Woods in terms specifications and modifications. Woods has never used this putter in a tournament, much less a Major tourney. However, Woods has used it for experimentation purposes and in practice. Putters used by Tiger have been sold at auction before, but none for this kind price. The going rate can be attributed to just how well Tiger did over the weekend. Had the auction gone until after the Masters, it probably would have gone for more as his win would increase the value.